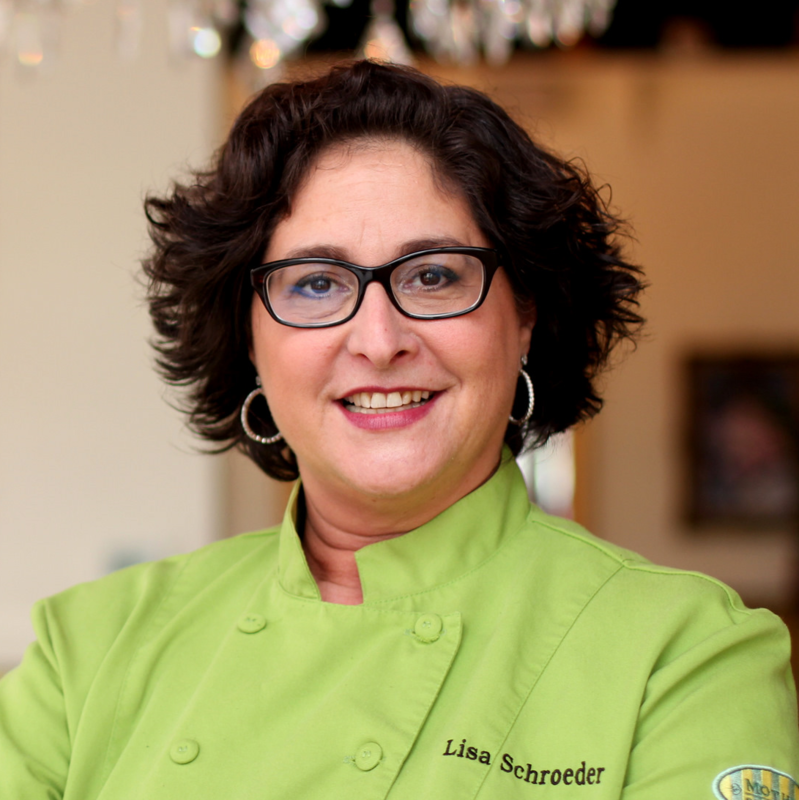 This month we’re featuring me – Lisa Schroeder, the executive chef and owner here at Mother’s Bistro & Bar. I’ve been missing the kind of Italian food I grew up with in Philadelphia, so I decided to feature myself as the Mother of the Month (M.O.M.) and cook up some of my favorite Italian dishes. I was born in Philadelphia in 1957. Upon graduating high school in 1975, I moved to Israel to attend Hebrew University in Jerusalem. When I became pregnant with my daughter, I realized being near family is more important than anything, so I moved back to the New York area in 1978. Needing to support my family, I worked at Publishers Clearing House as a telemarketing manager, then at a food broker as a customer service manager, and finally at Weight Watchers International as a products and licensing manager. While working these jobs I catered on the side and spent every other waking minute thinking, reading or dreaming about food. Unfortunately, my long work days allowed little time to cook for my family, so I’d end up ordering a lot of take-out food for dinner. One day, after the 13th hour at my job at Weight Watchers, I had an epiphany. While there was plenty of places to get food to go; Chinese, Mexican, pizza, and burgers, there was no place to get “Mother Food,” the kind of food a mother would make for her family if she had the time. That’s when I decided to open a restaurant called “Mother’s” where I’d serve home cooking from mothers around the world, made with love, served in a warm and fuzzy environment. I spent the next 8 years working toward my dream. I went to cooking school at The Culinary Institute of America in New York, apprenticed at Roger Verge’s Moulins des Mougins and Mark Veyrat’s L’Auberge de L’Eridan in France and worked at Le Cirque and Lespinasse in New York City. I wanted to learn the four-star way of doing things, so I could make motherly dishes that much better. I met Rob Sample (now my husband and business partner) in 1996 and moved to Portland to be near him. I was the chef at Besaw’s for two years where I earned my “homey” food stripes. Mother’s Bistro & Bar opened 15 years ago on January 1, 2000, and we haven’t looked back since! I am now the proud grandmother of four and the mother hen to 50 employees. You’re sitting in my dream come true, and this month we’ll be serving the Italian dishes I often dream about.